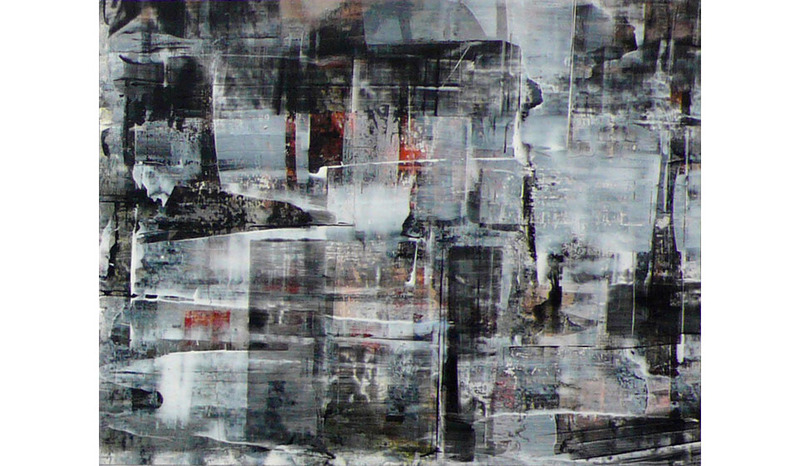 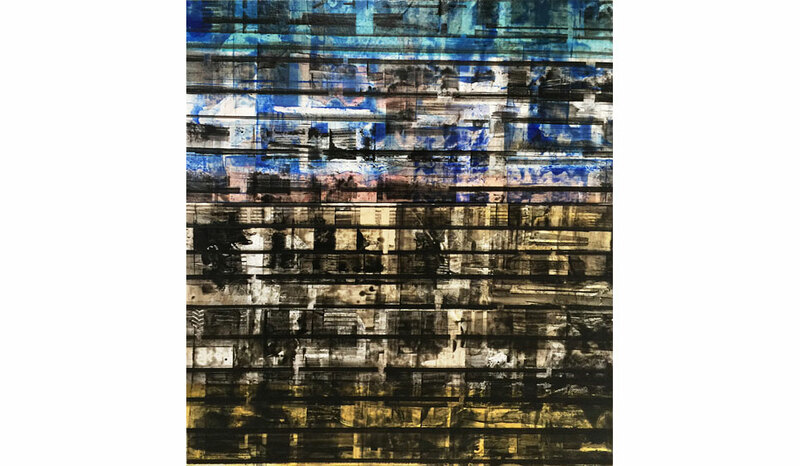 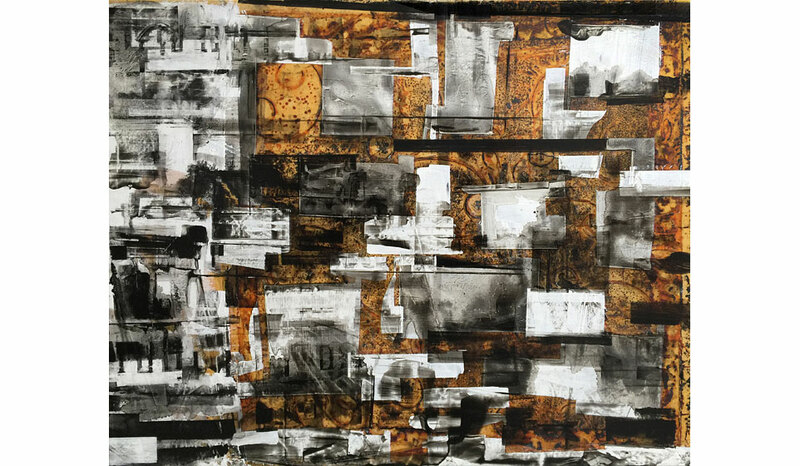 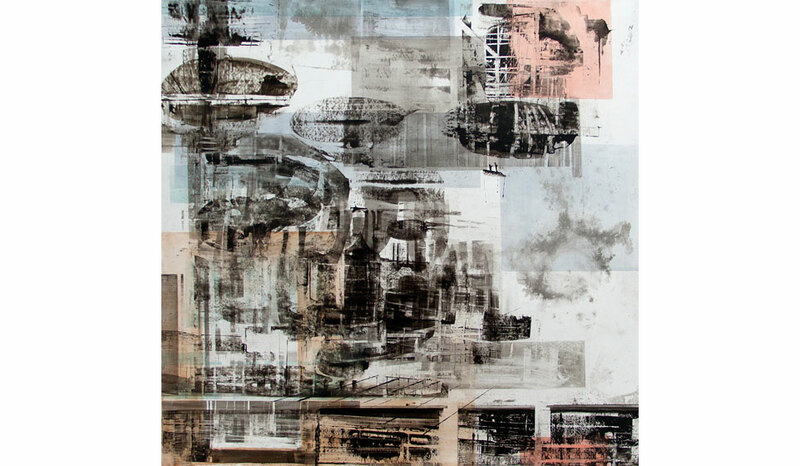 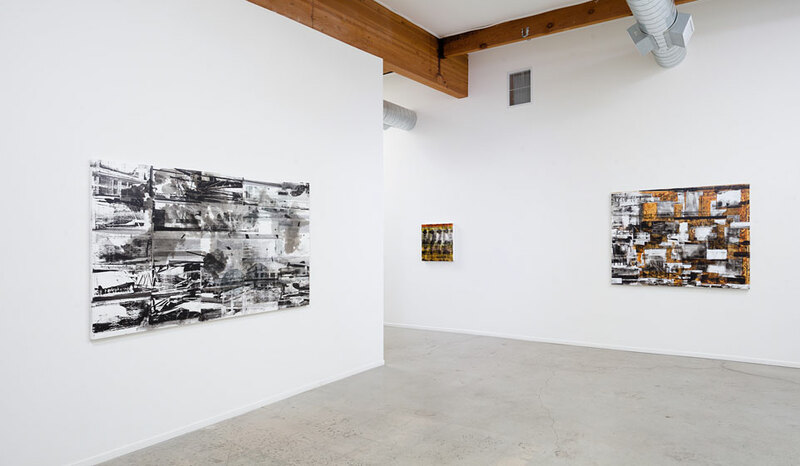 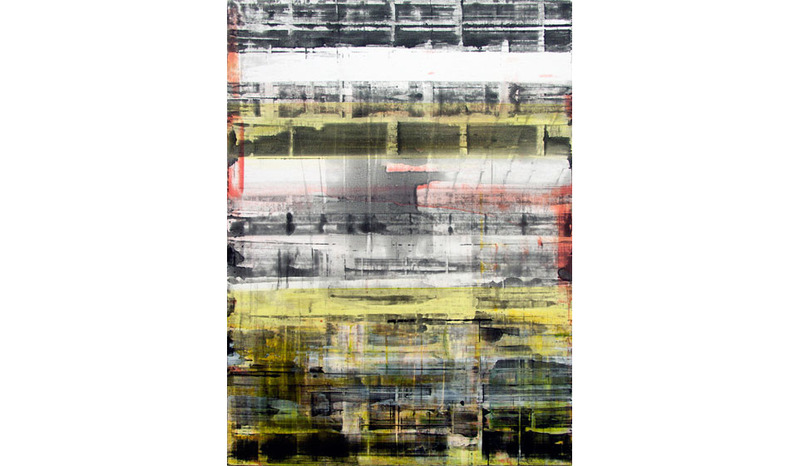 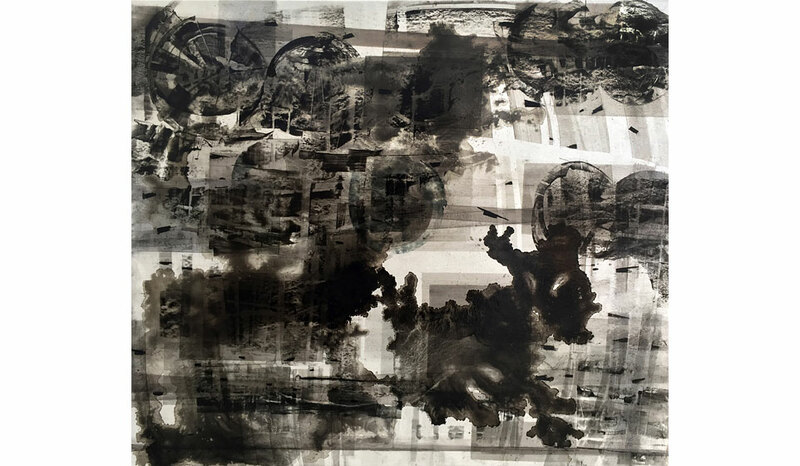 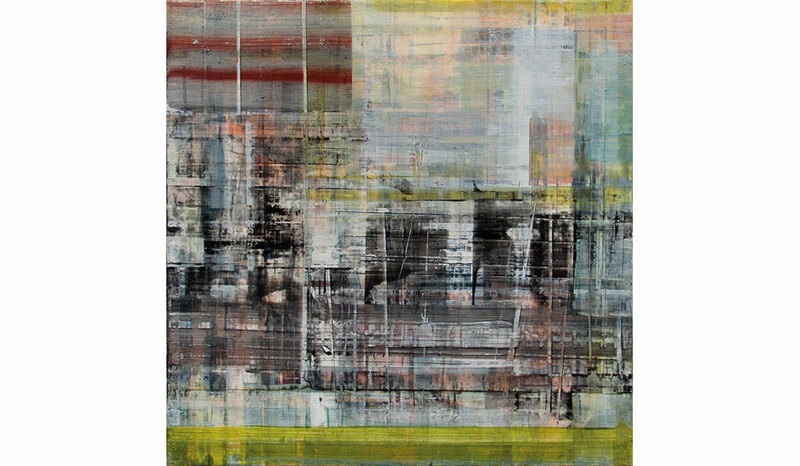 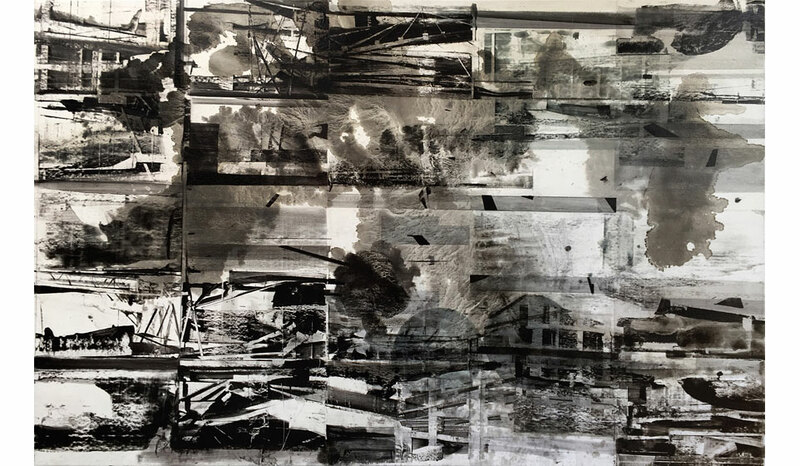 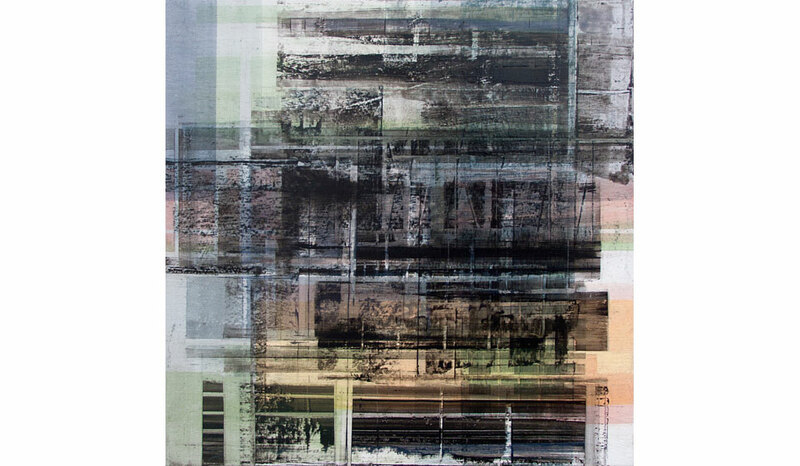 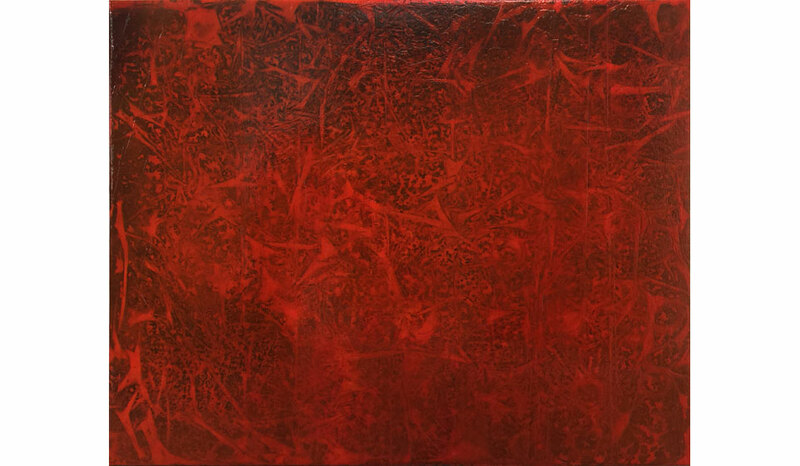 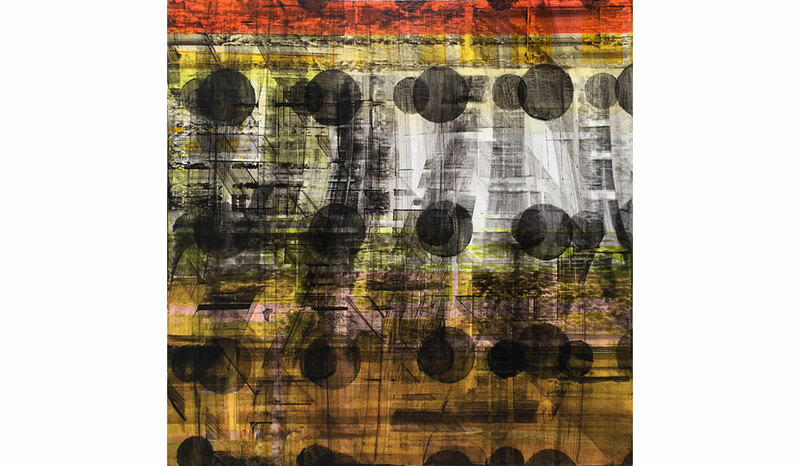 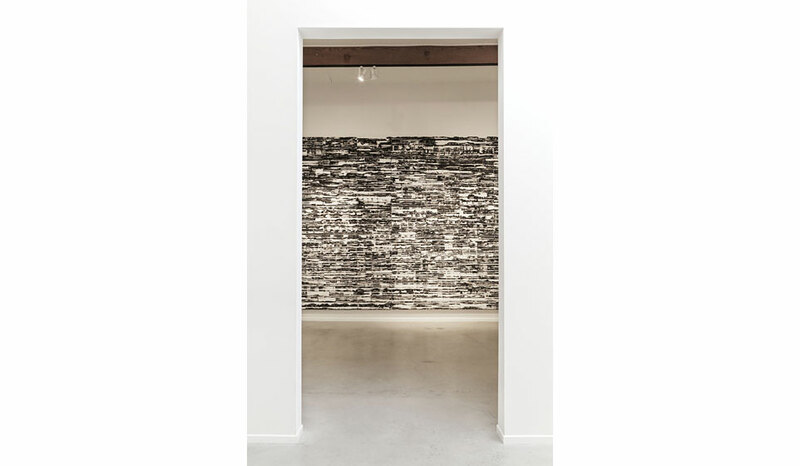 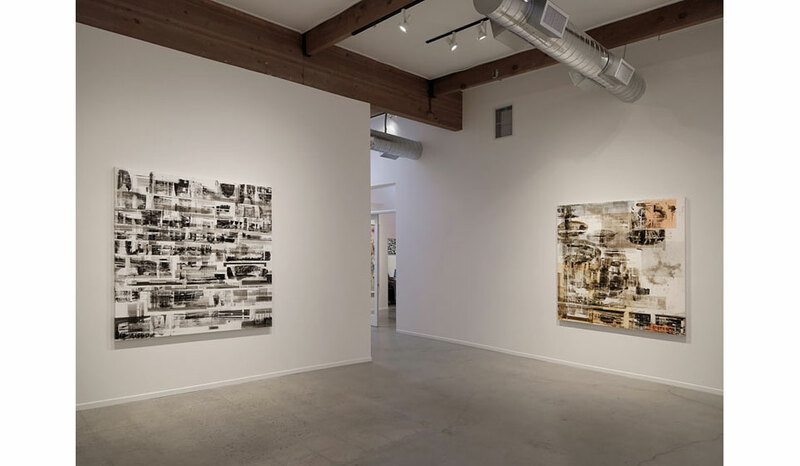 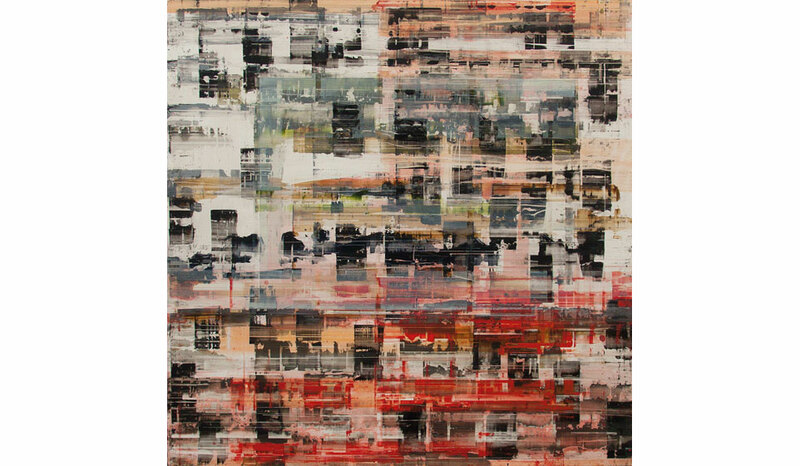 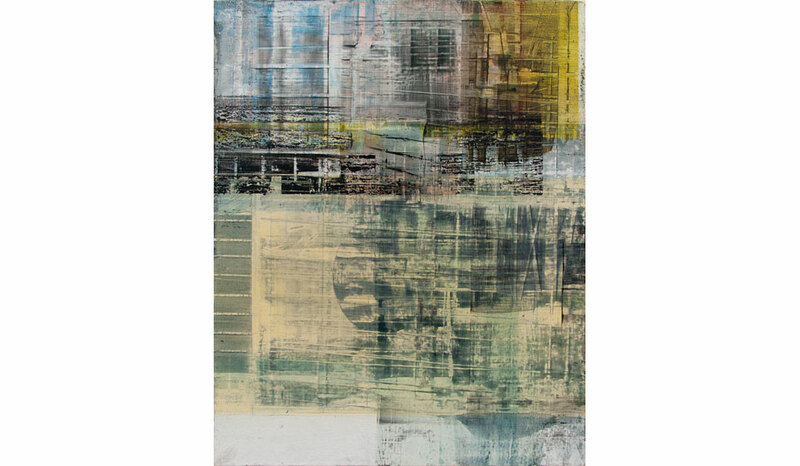 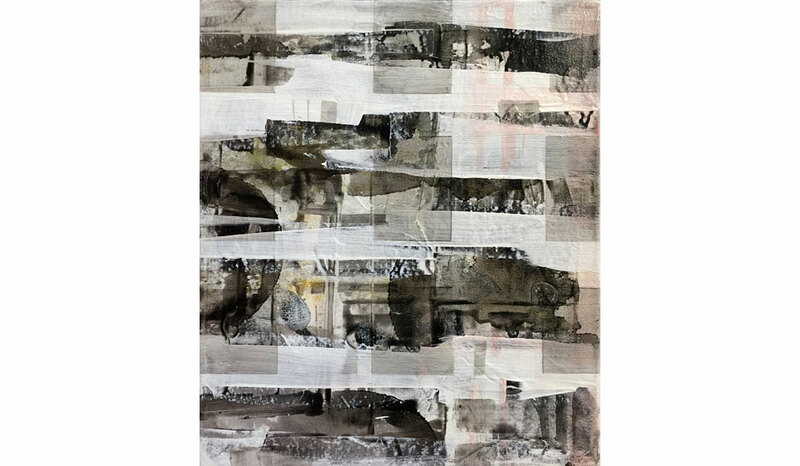 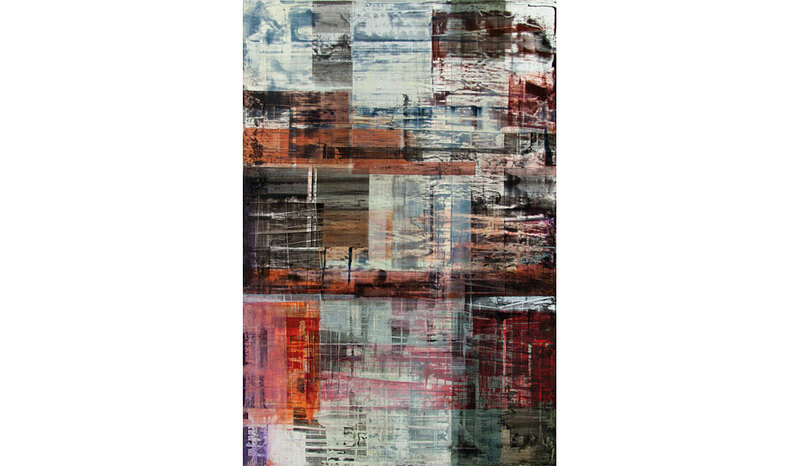 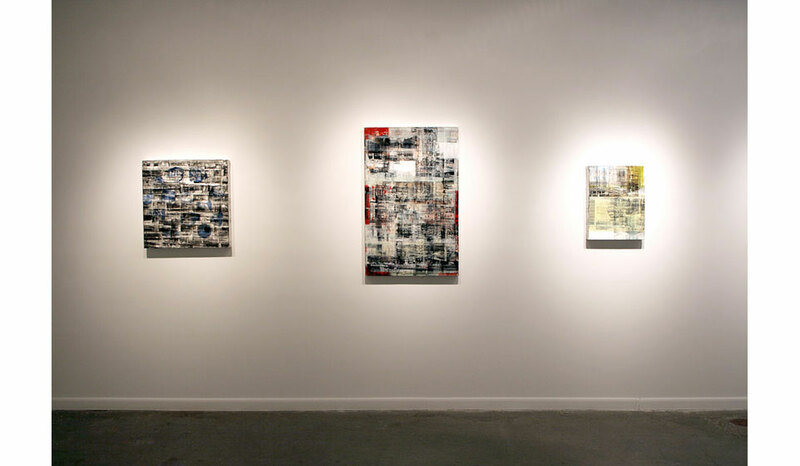 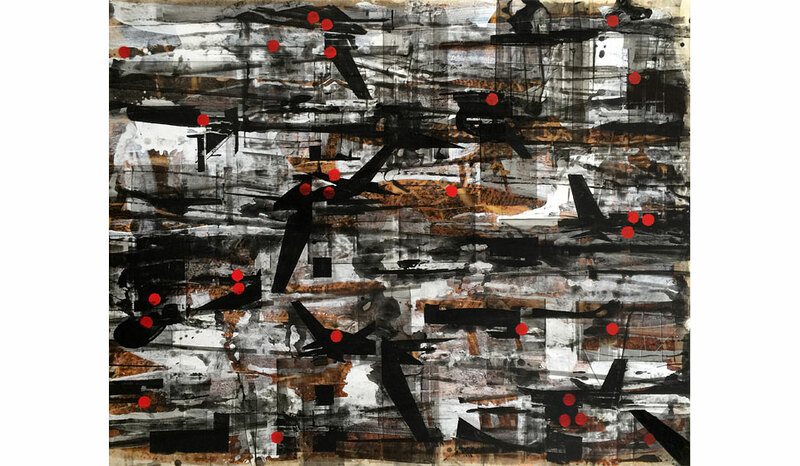 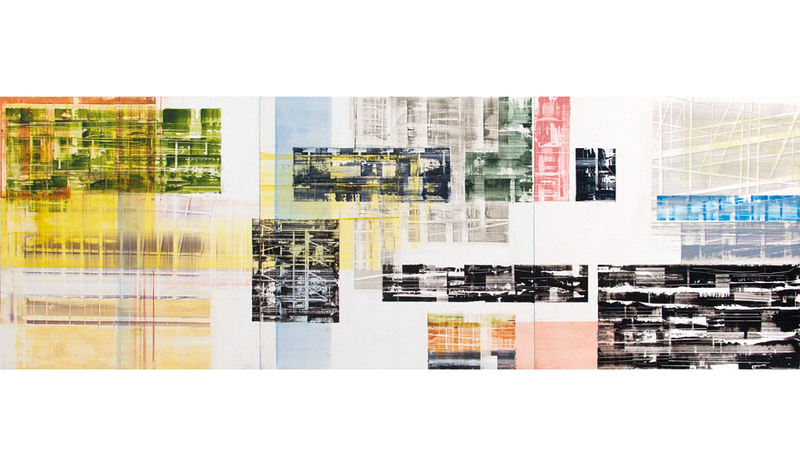 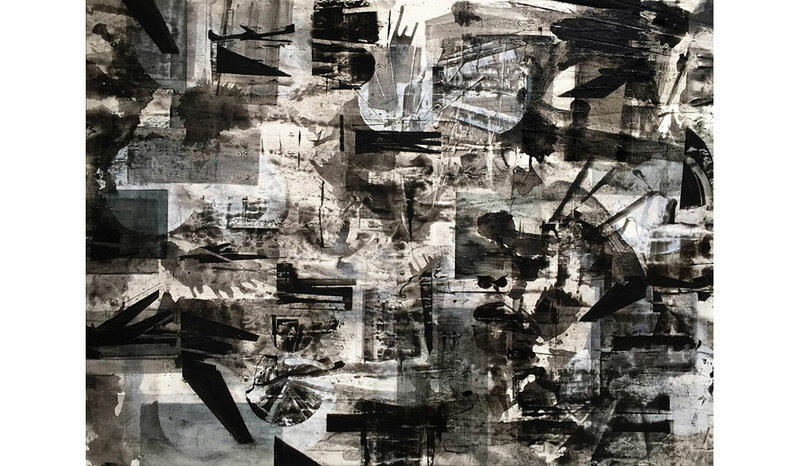 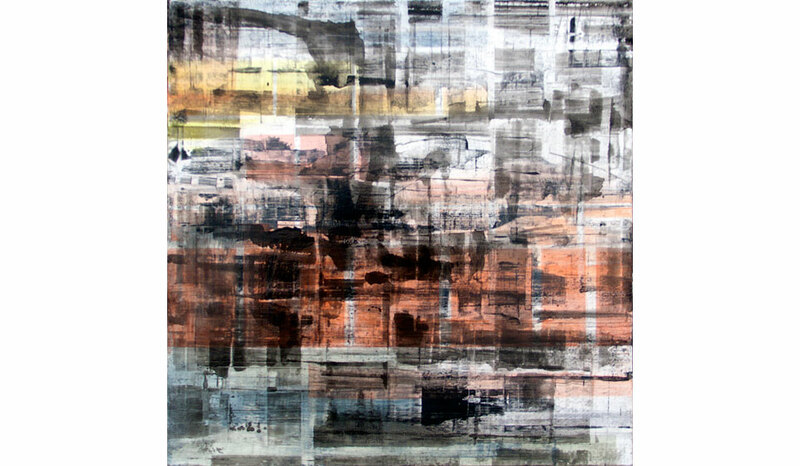 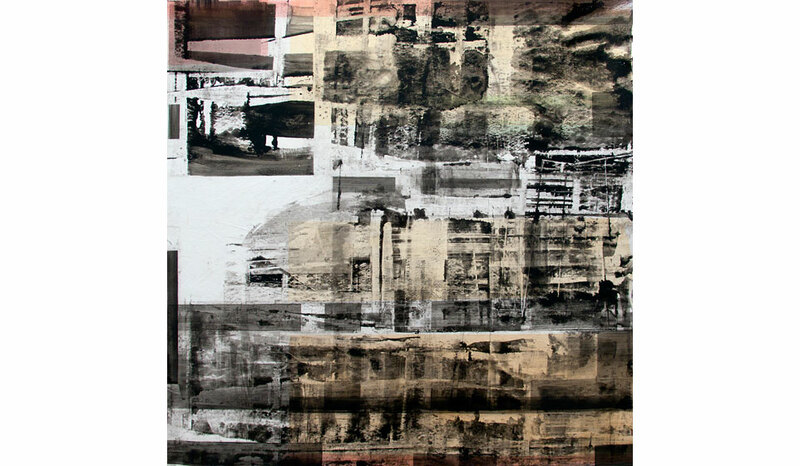 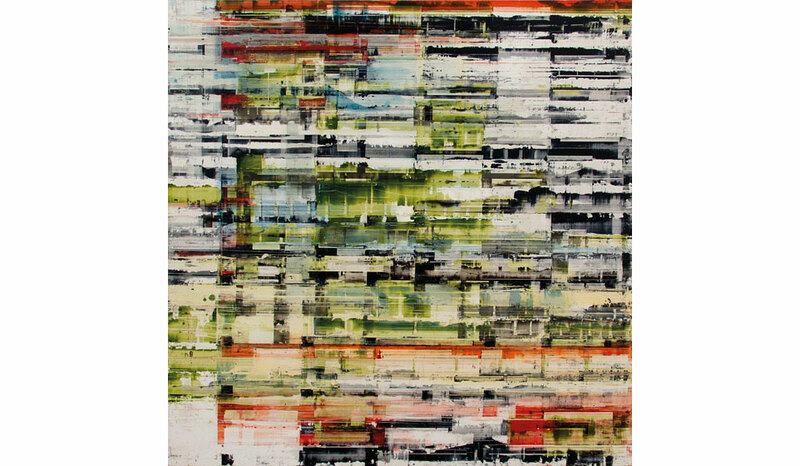 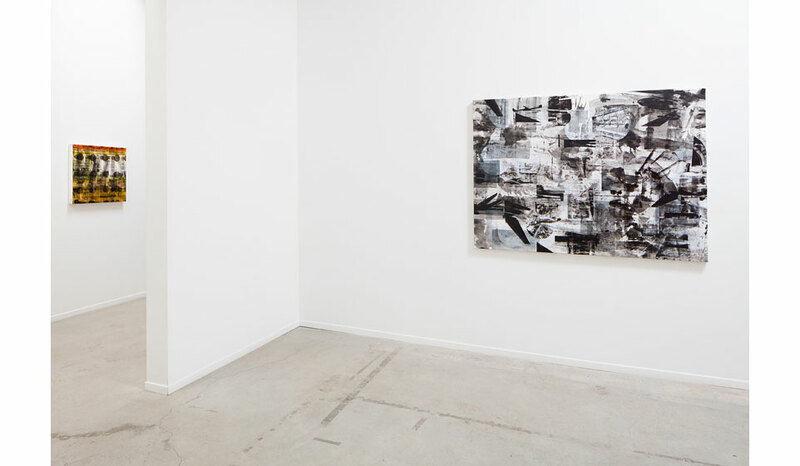 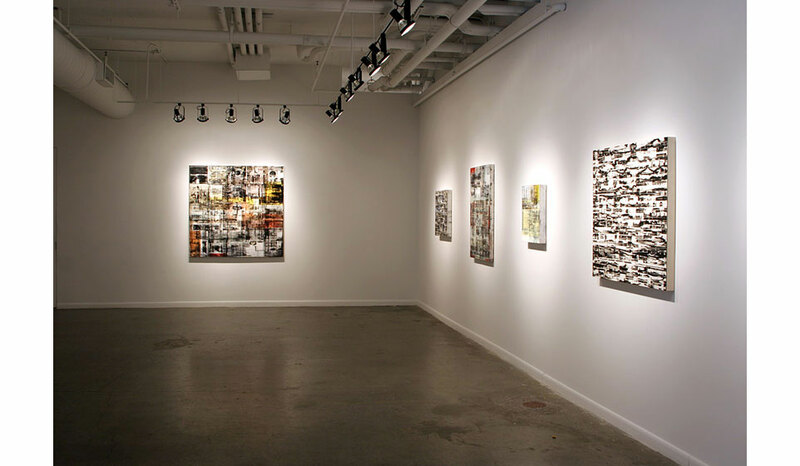 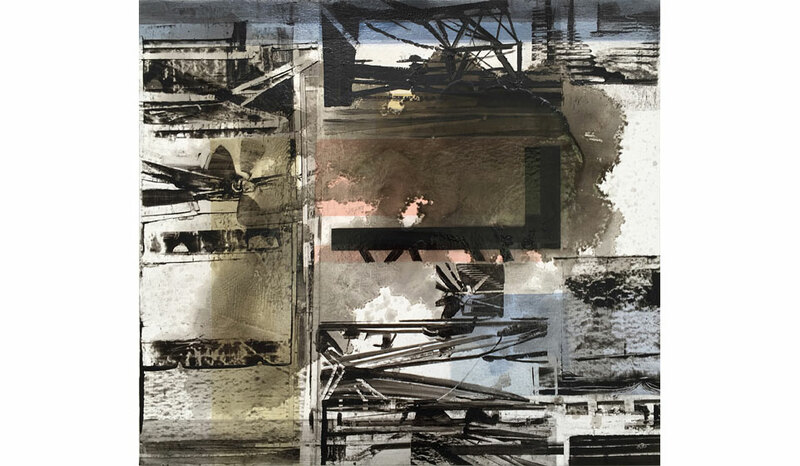 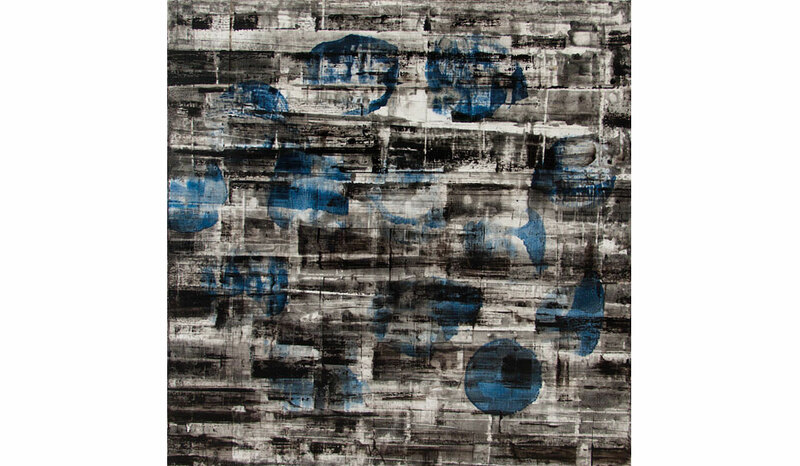 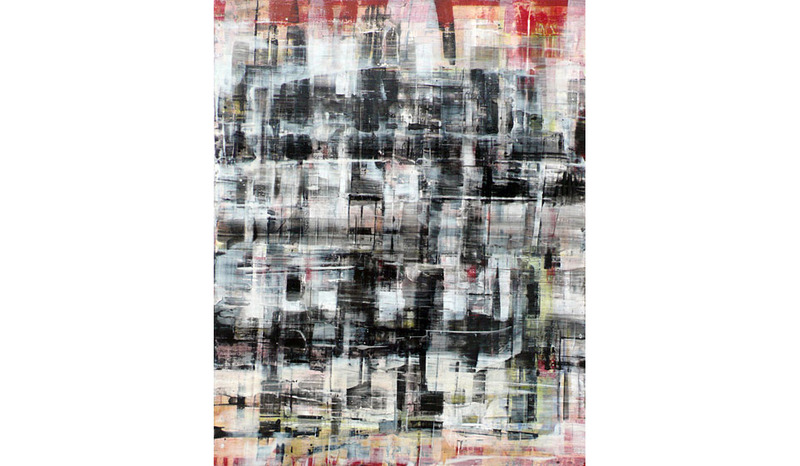 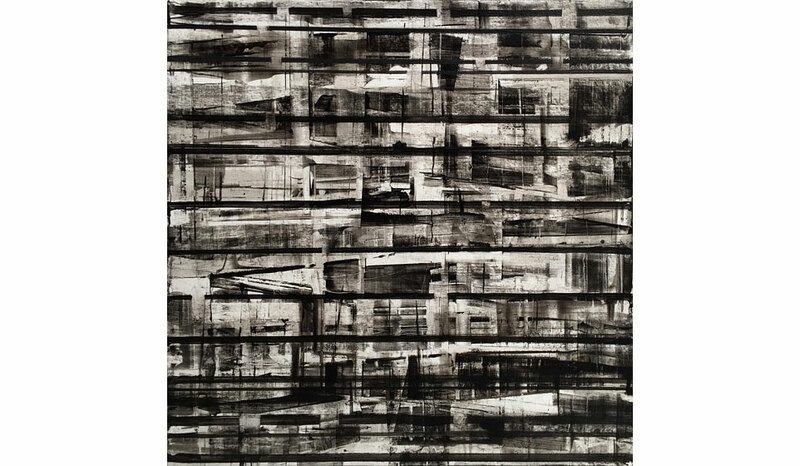 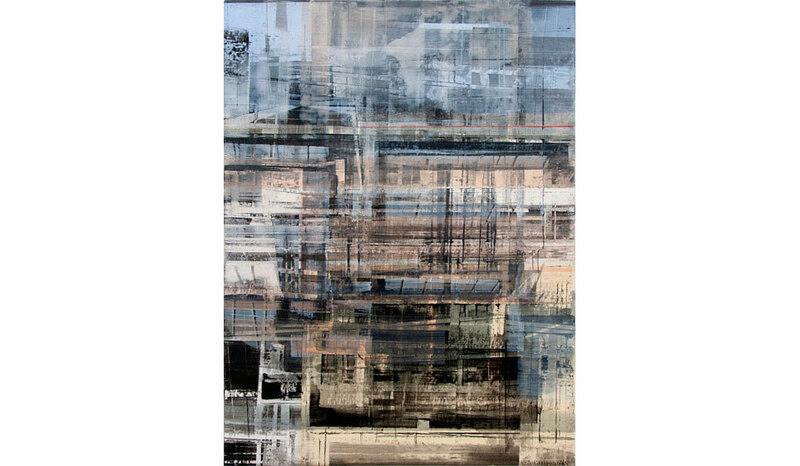 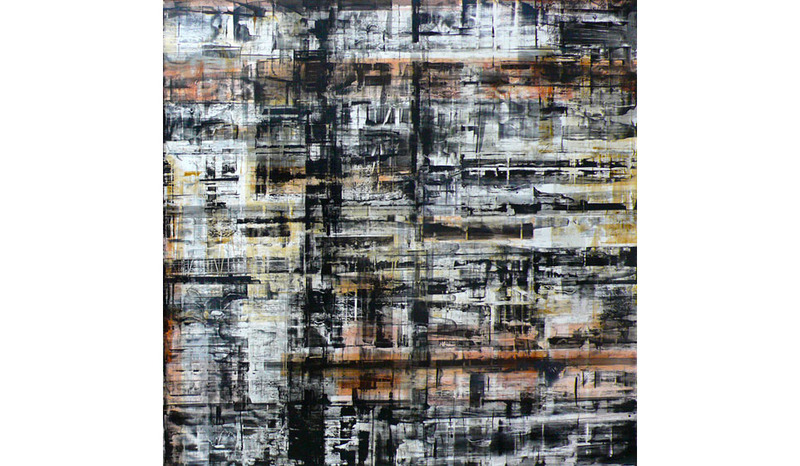 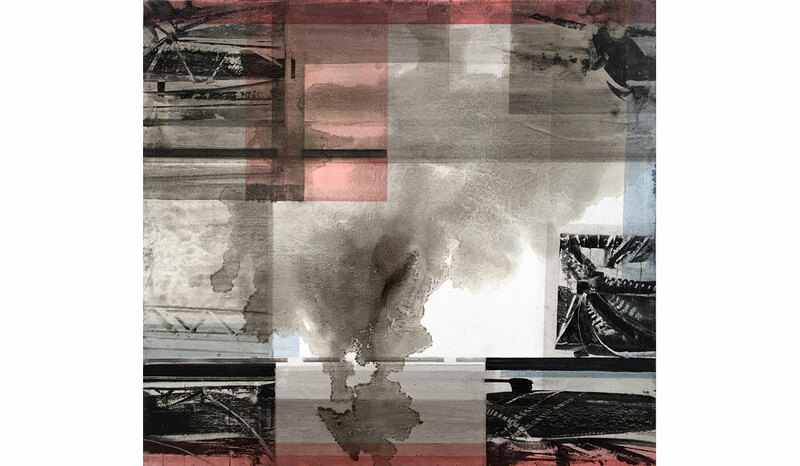 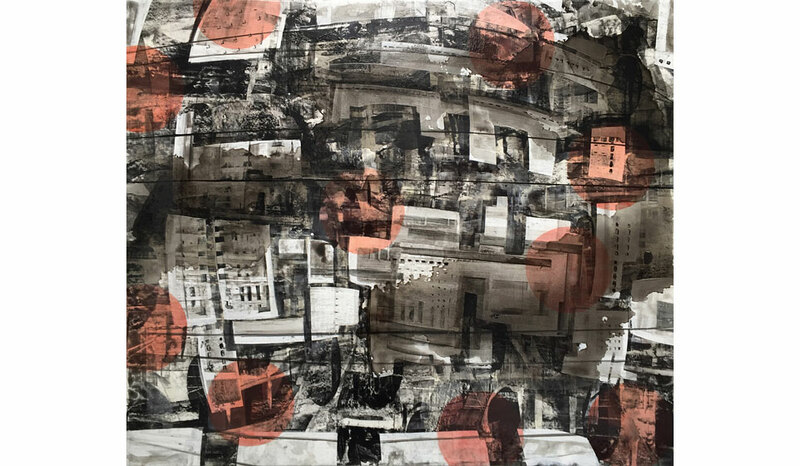 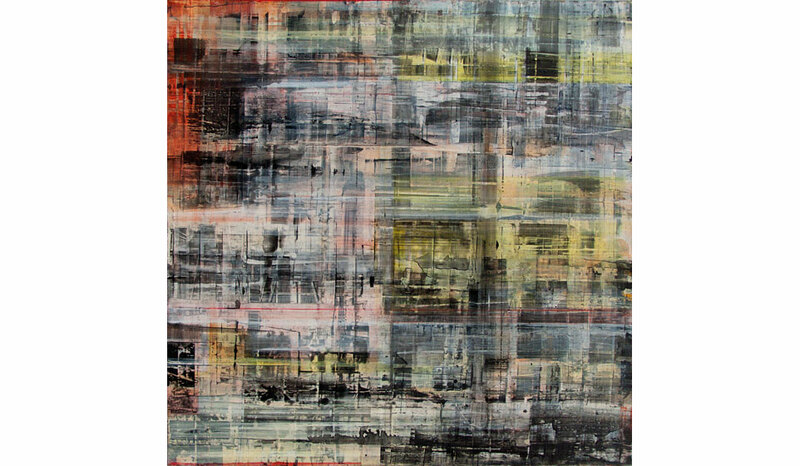 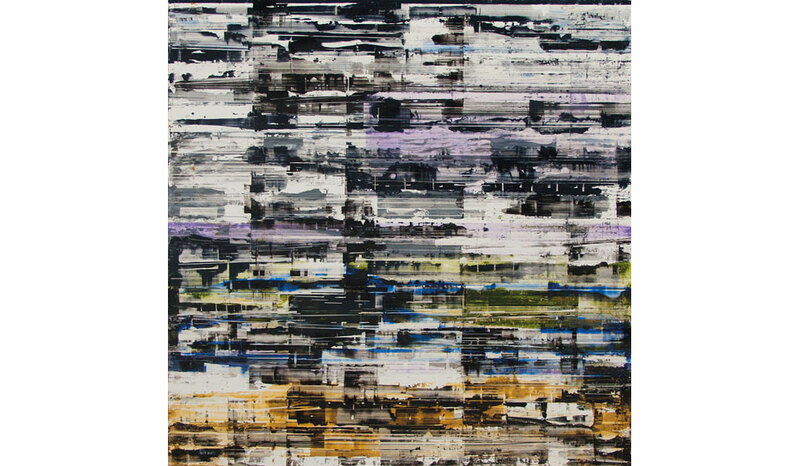 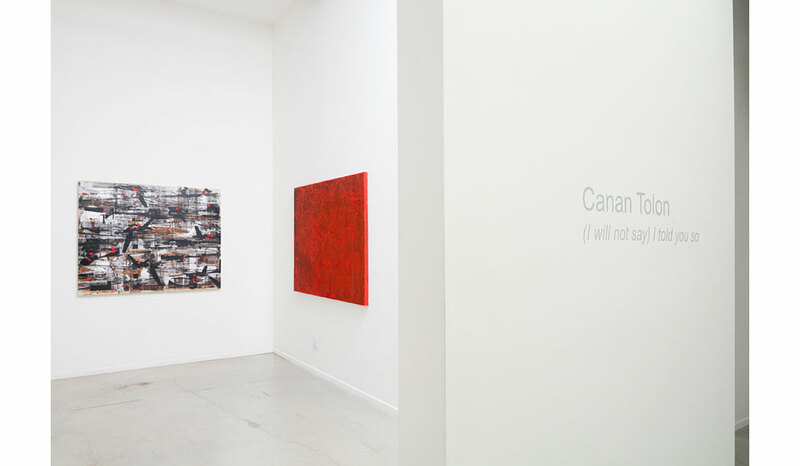 Canan Tolon is primarily interested in “landscapes of absence.” Her paintings study the conceptualization of space filtered through multiple dimensions including imagination, memory and time. 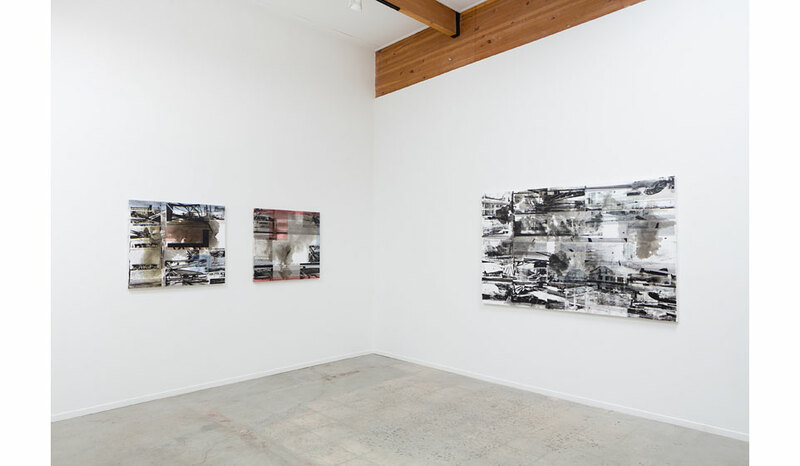 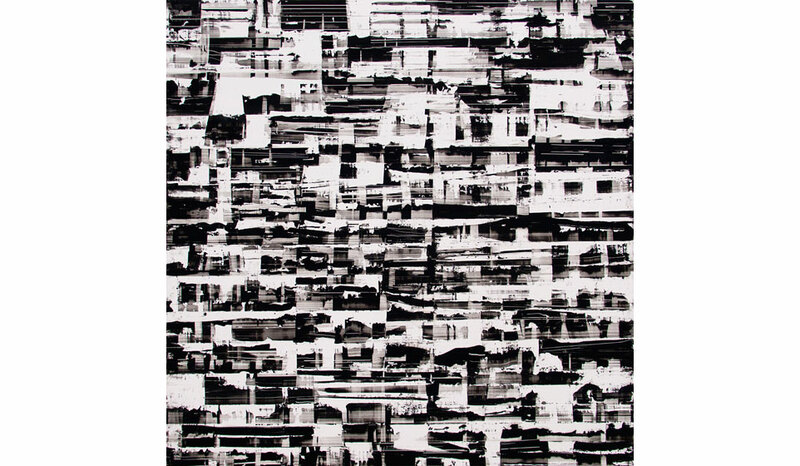 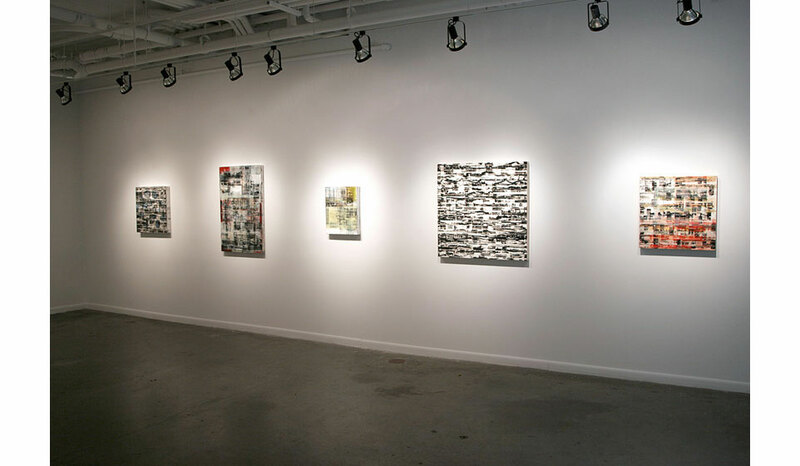 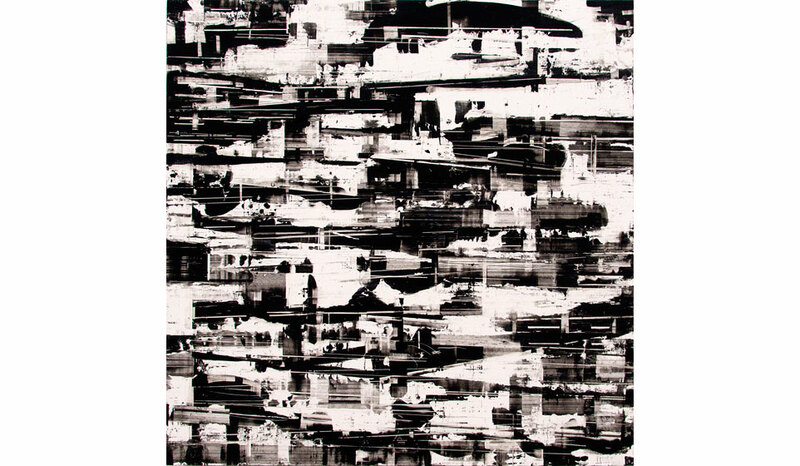 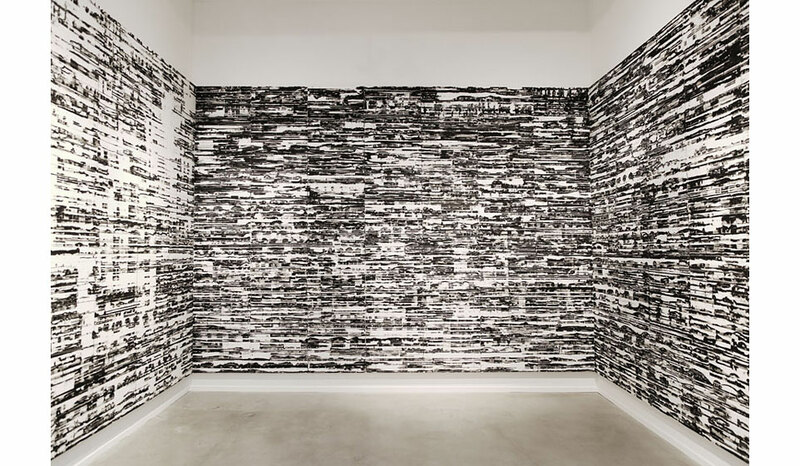 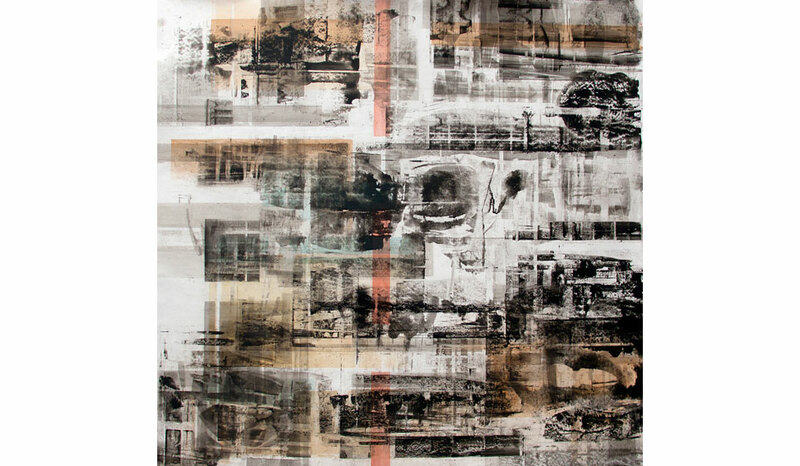 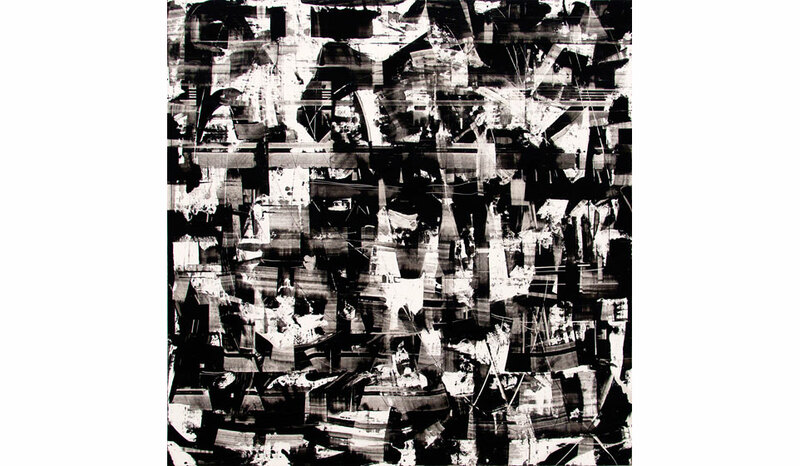 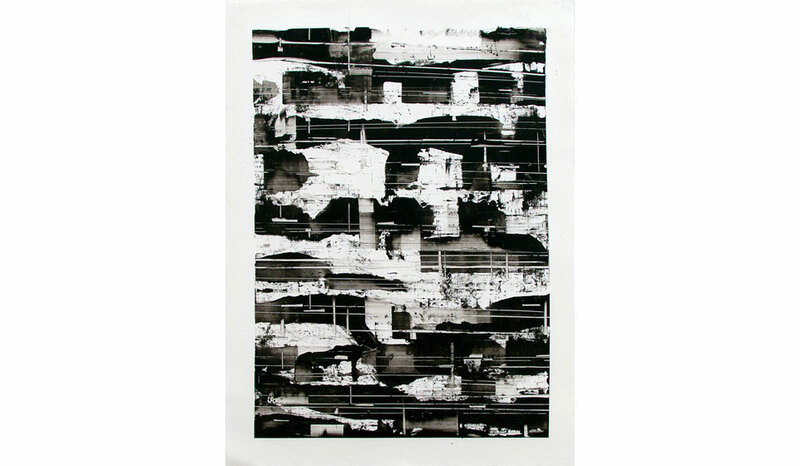 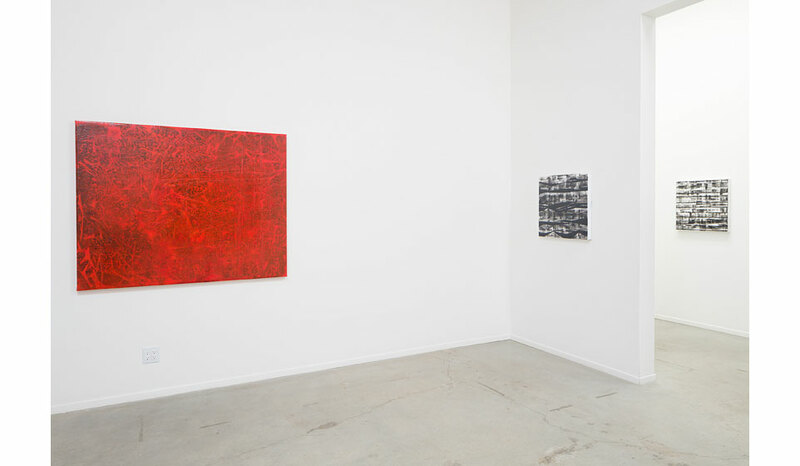 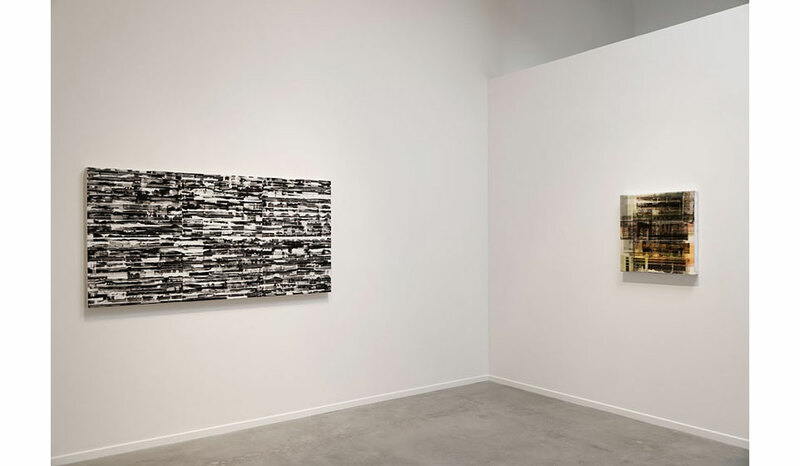 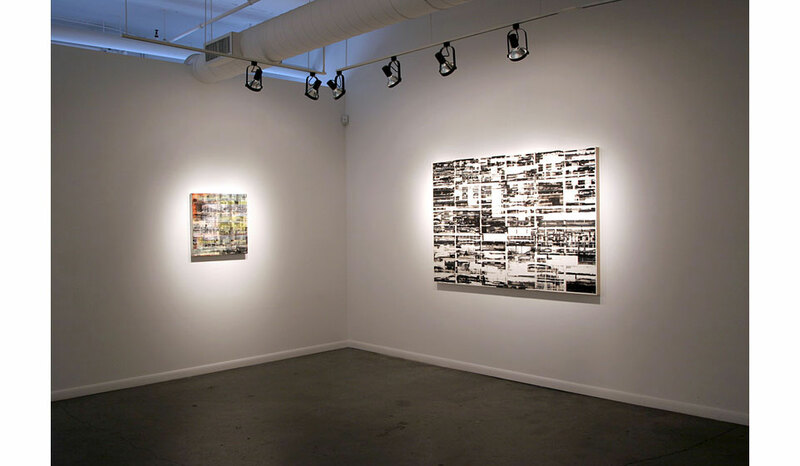 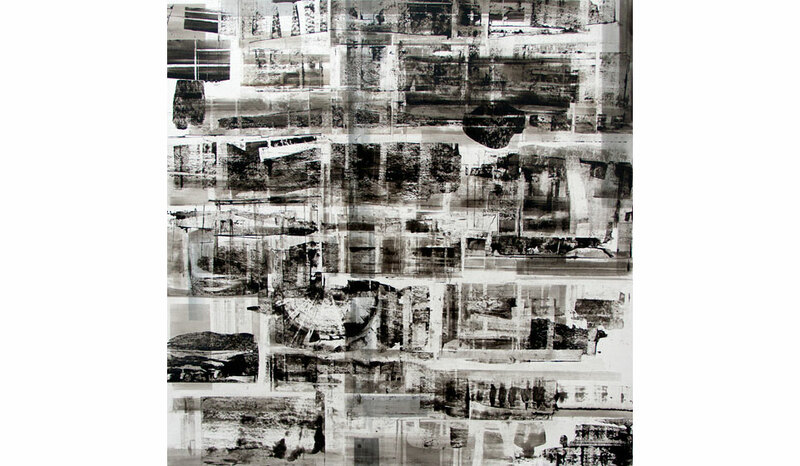 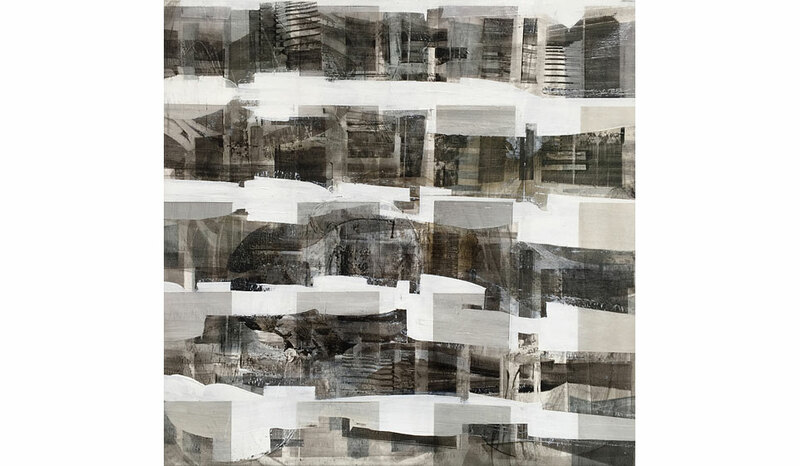 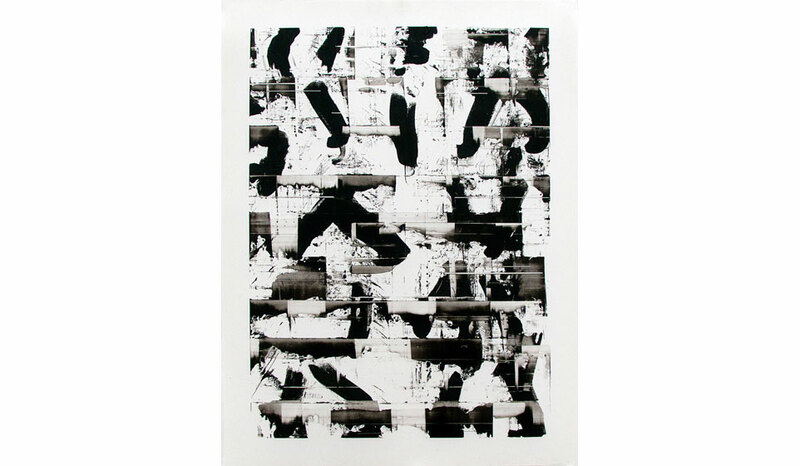 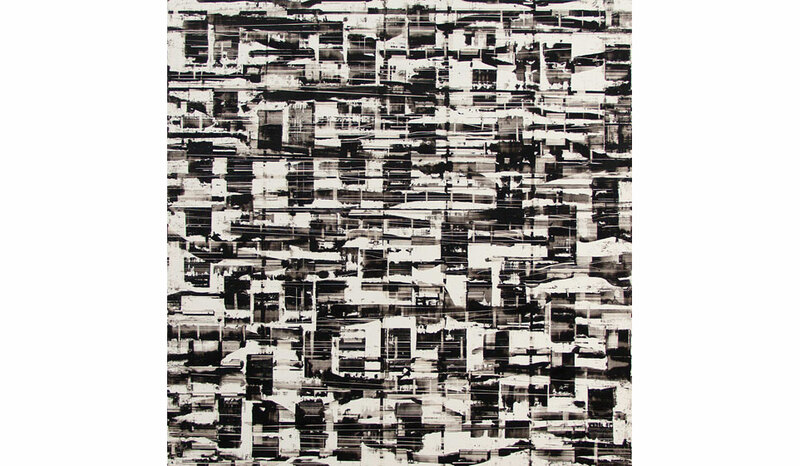 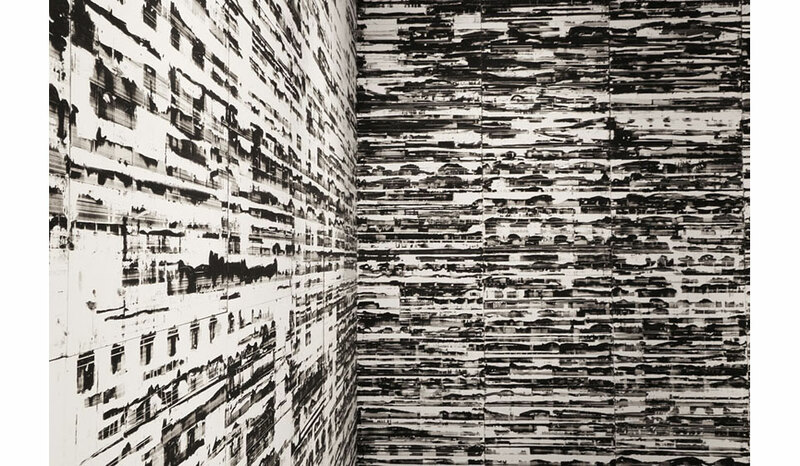 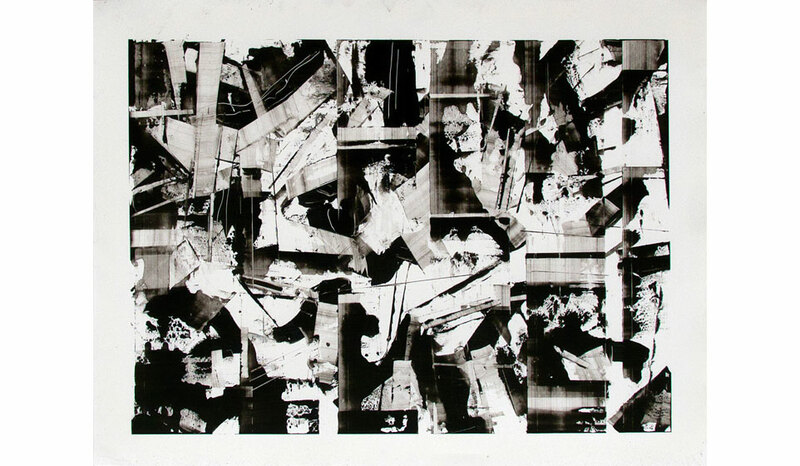 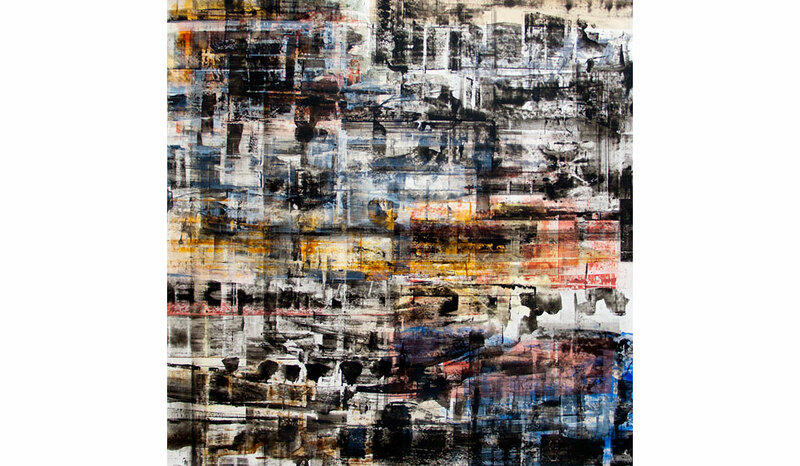 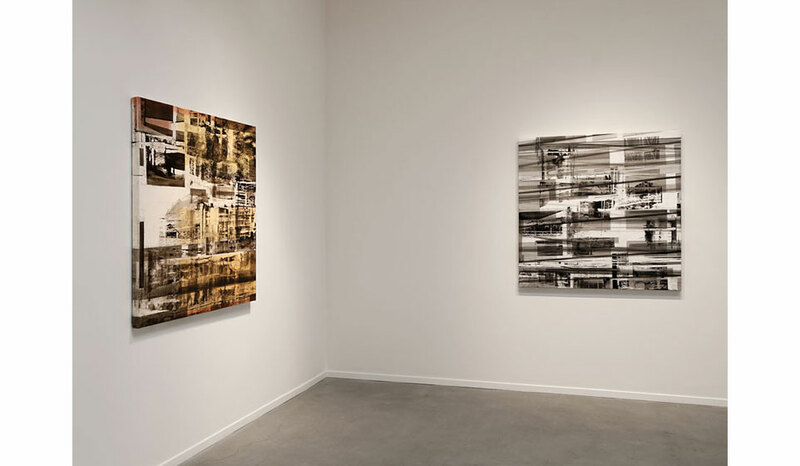 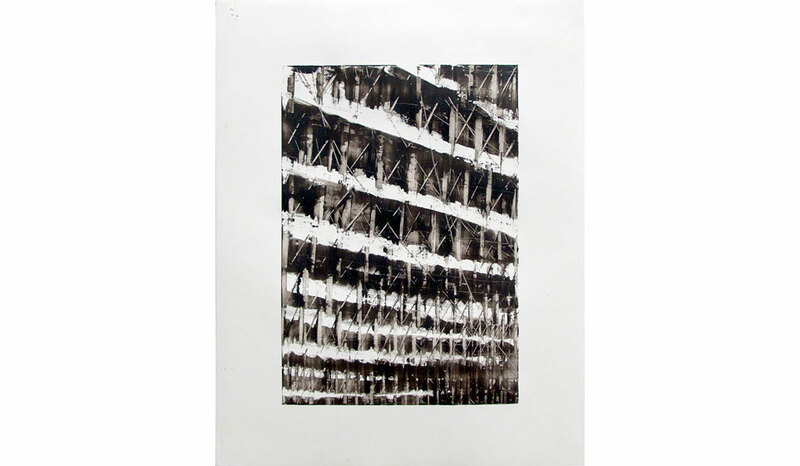 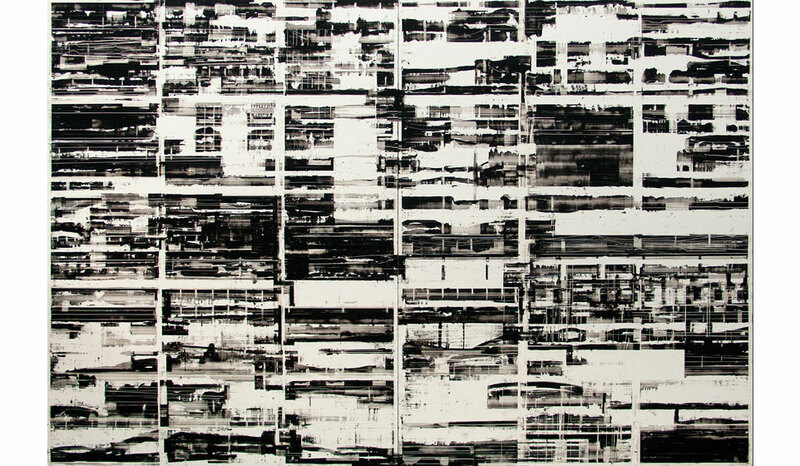 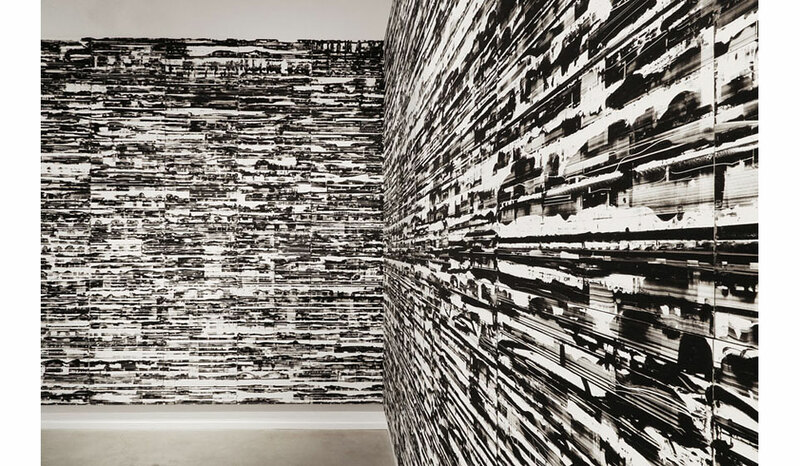 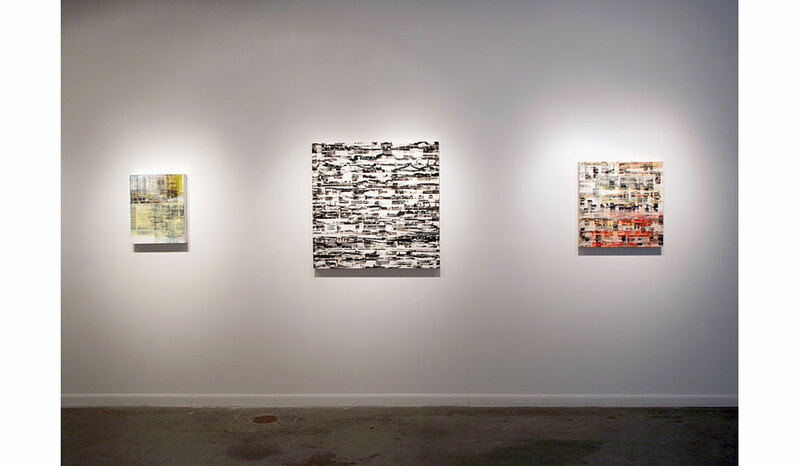 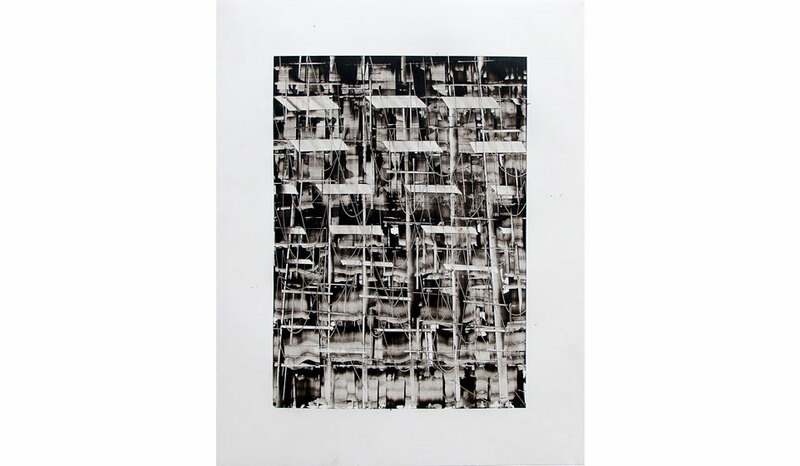 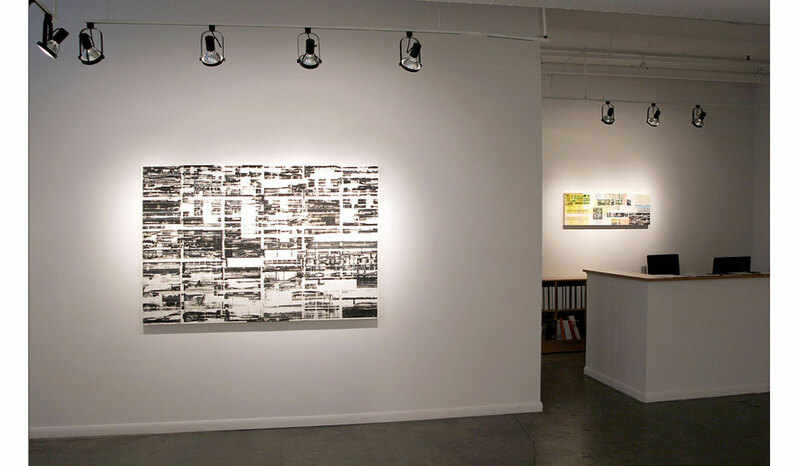 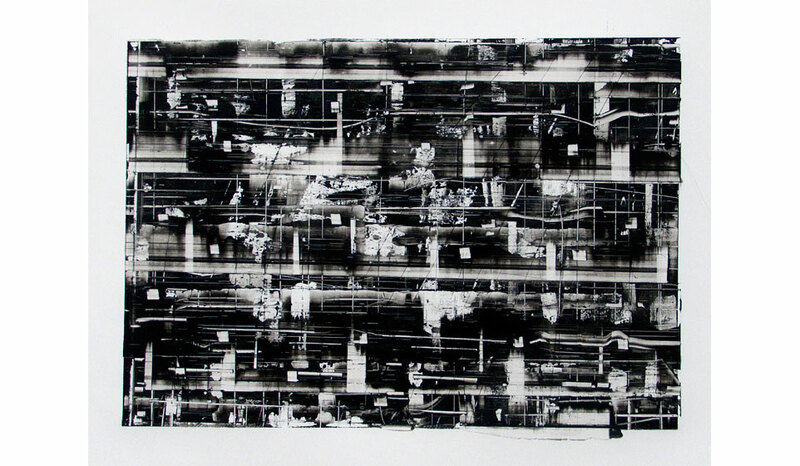 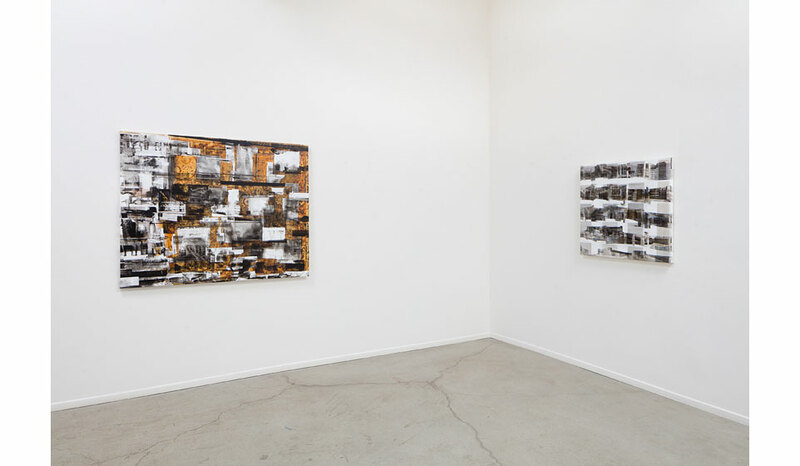 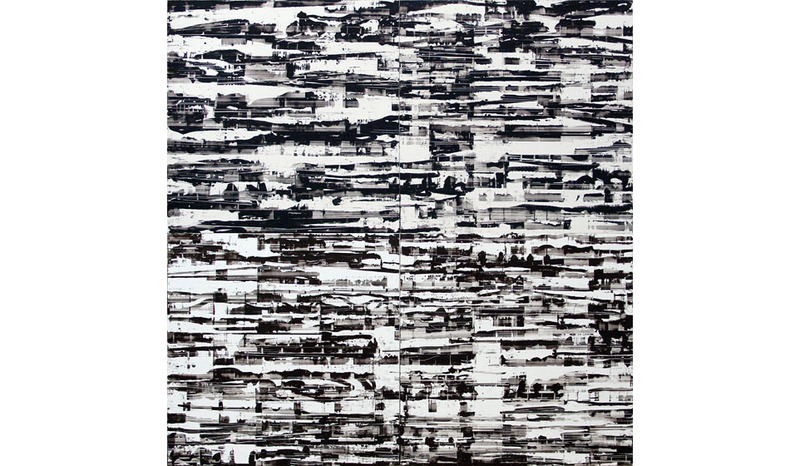 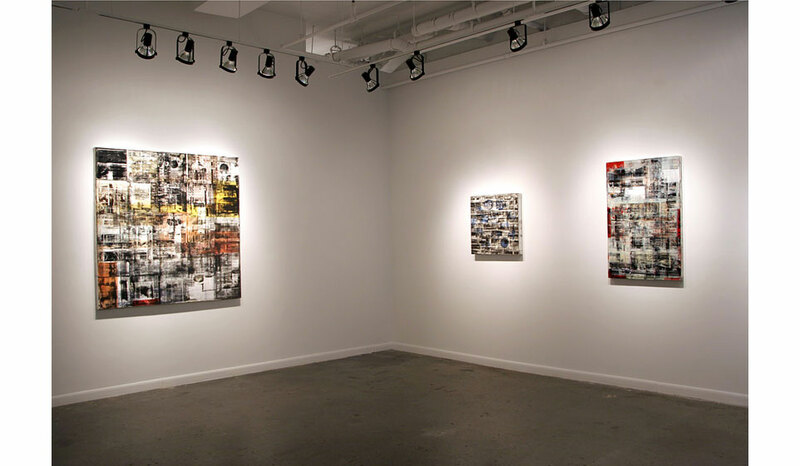 Though her technique of repetitious gestures that scrape and slice oil paint across slick surfaces may initially present as pure geometric abstraction, a longer gaze will uncover transient urban scenes and sprawling constructions resembling photographs of places and events. 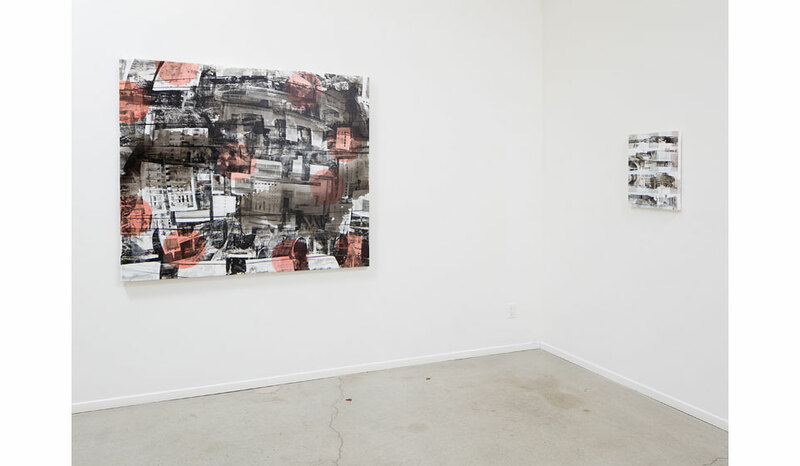 The effect is as if viewing a time-lapse simulated reality through the lens of a kaleidoscope. 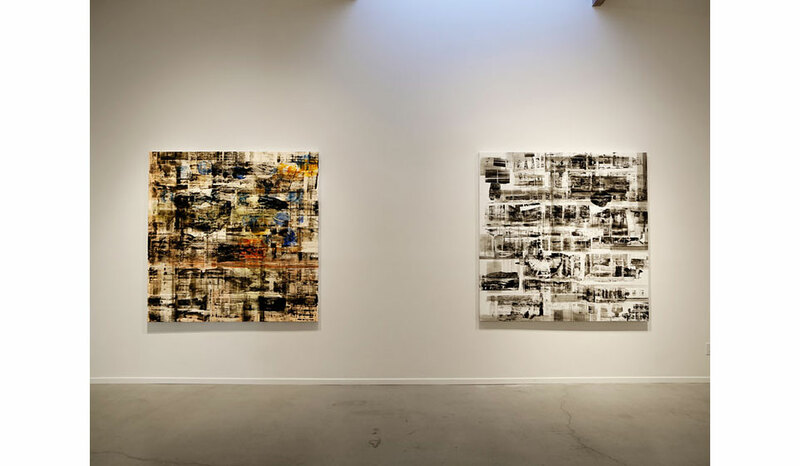 They are paintings that are like something else, becoming an exercise in perception suspended between truth and illusion, stasis and flux. 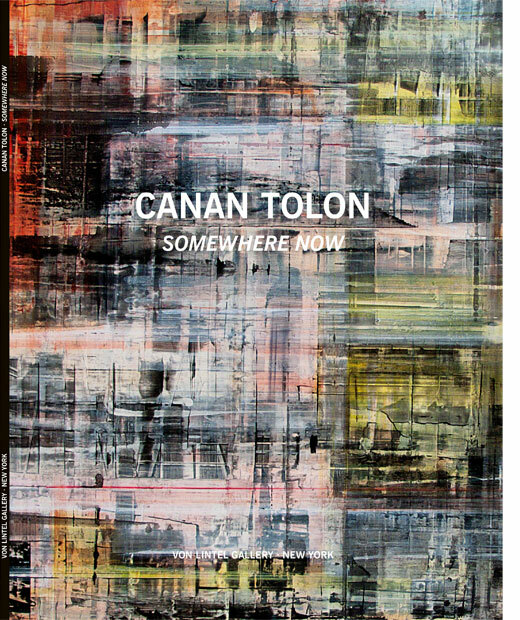 Tolon was born in Istanbul, Turkey and grew up in various European countries. 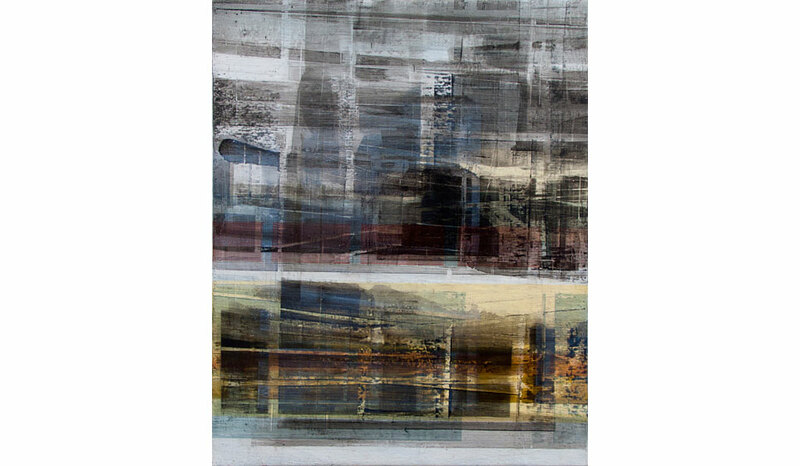 She studied design and architecture in Edinburgh and London before receiving a Masters in Architecture from the University of California at Berkeley. 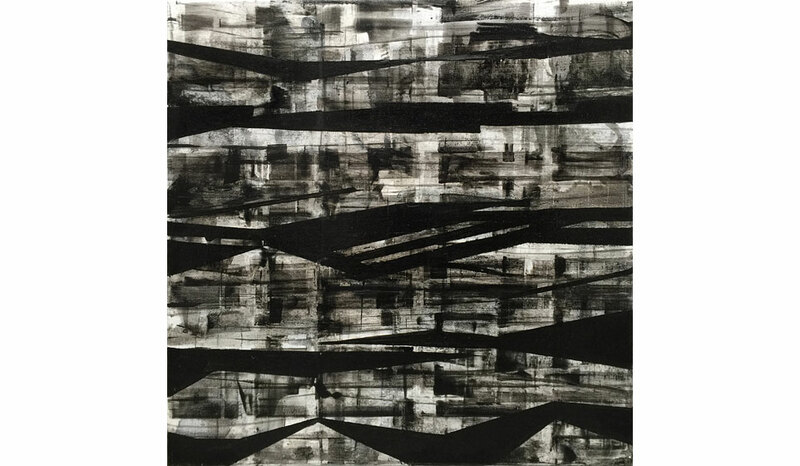 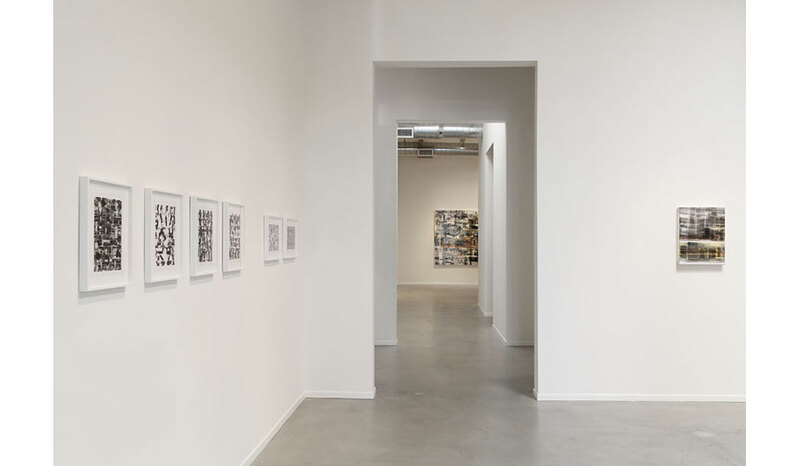 Exhibiting internationally since 1984, prior shows include the San Francisco Museum of Modern Art; the British Museum, London; Parasol unit, London; Rotterdam’s Museum Boijmans Van Beuningen; the Istanbul Museum of Modern Art and London’s Saatchi Gallery. 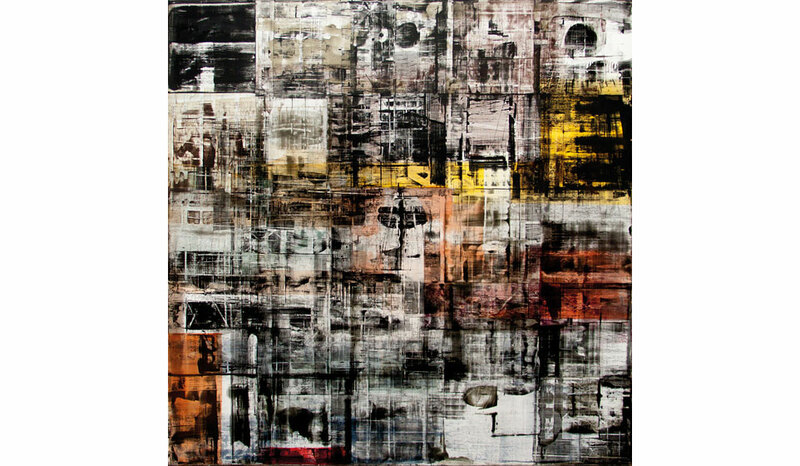 Her work is in the permanent collections of the Istanbul Modern and the British Museum. 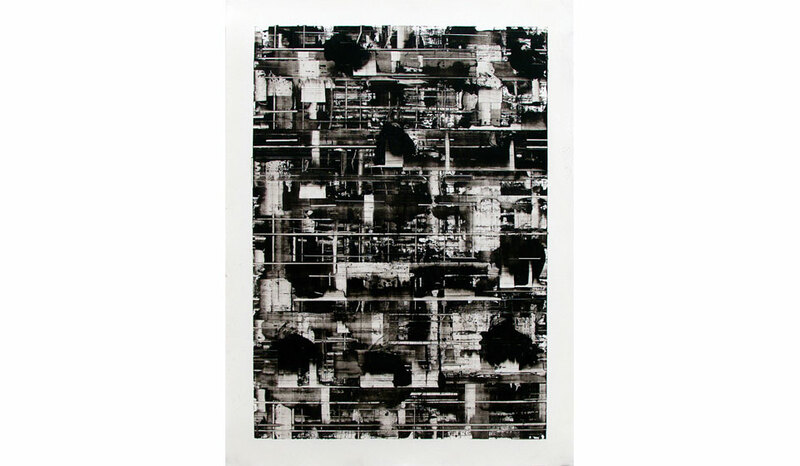 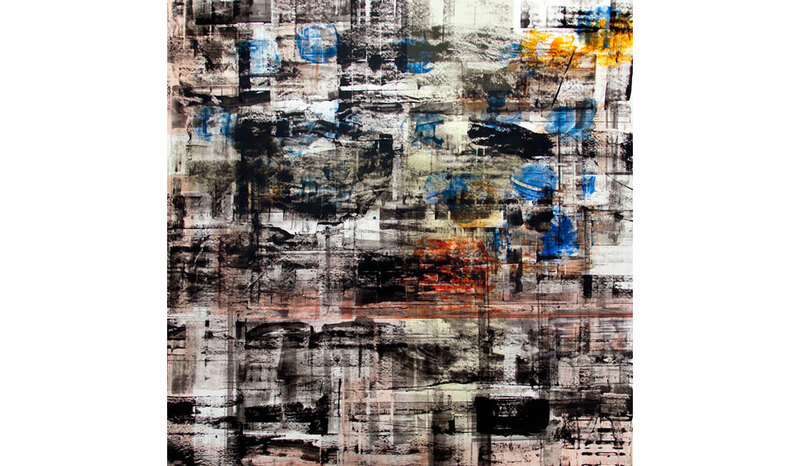 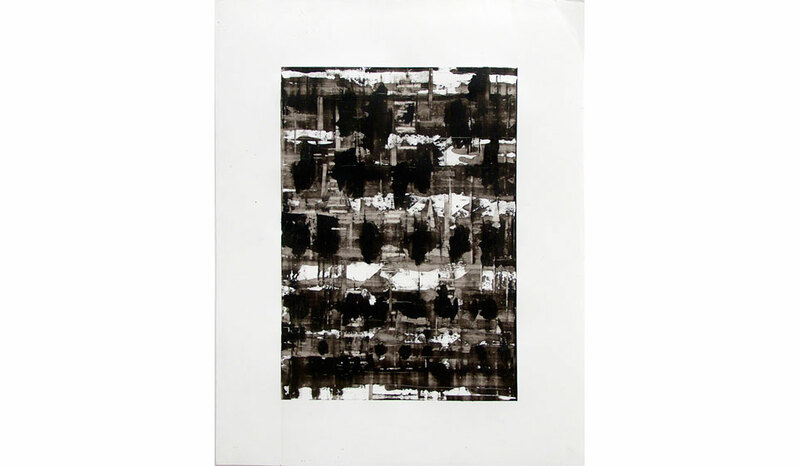 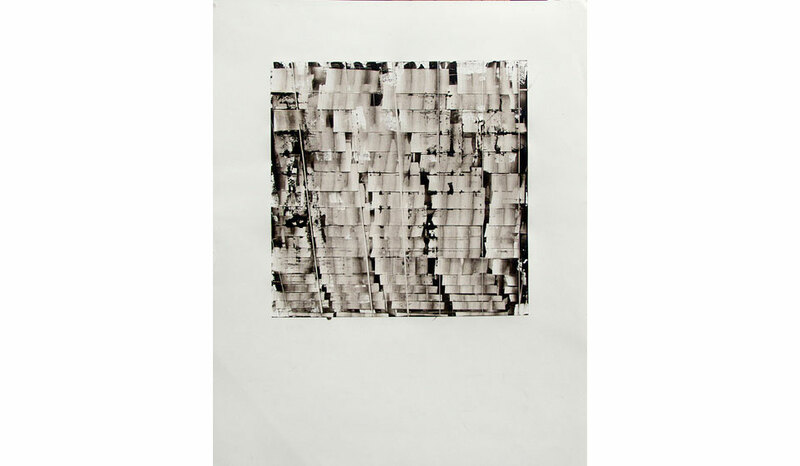 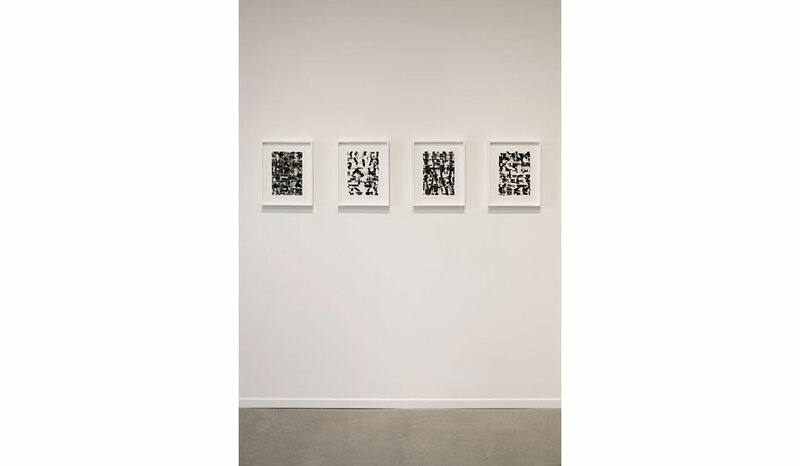 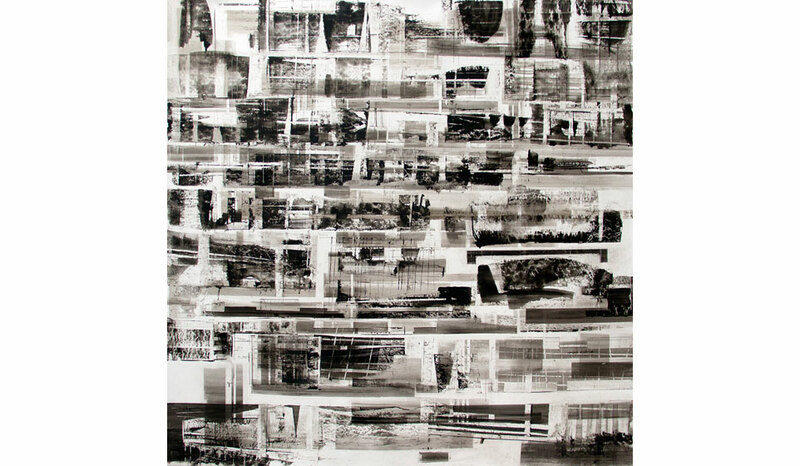 In 2012, Art + Auction named Tolon as one of the 50 Next Most Collectible Artists.